MOSCOW. Sept 24 (Interfax) – The ruling party is ready for the constructive interaction with the new governors of the Khabarovsk Territory and the Vladimir region, according to United Russia General Council Secretary Andrei Turchak. 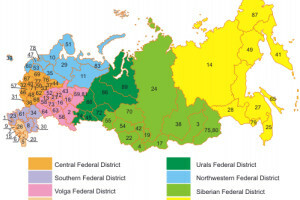 “The party is ready for the constructive interaction with the elected heads of the Khabarovsk Territory and the Vladimir region if people and regions benefit from this interaction,” the party press service quoted Turchak as saying in a statement following the second round of gubernatorial elections in the two regions. The party has a majority in legislative assemblies in the Khabarovsk Territory and the Vladimir region, he said. The very fact of second rounds of elections is a signal showing effective work of regional party structures to United Russia, he said. “There is an obvious request for renewal. A majority of the 16 candidates for the posts of governor who were nominated and supported by United Russia and who confidently won the first rounds are new political leaders for the regions,” Turchak said. “As to the assessment of the result of the past voting, I believe that the main winner is the Russian electoral system, whose authority and reputation only increased as a result,” he said. According to tentative estimations, LDPR candidates had a convincing victory in the second rounds of gubernatorial elections in the Khabarovsk Territory and the Vladimir region on September 23. In the Khabarovsk Territory, LDPR candidate and State Duma deputy Sergei Furgal received 69.57% of the votes after 100% of the ballots were processed. United Russia candidate Vyacheslav Shport, who has led the Khabarovsk Territory since 2009, received 27.97%. In the Vladimir region, LDPR candidate Vladimir Sipyagin received 57.03% of the votes. The region’s incumbent Governor Svetlana Orlova, who represents United Russia, received 37.46%.